PowerScore student Marvin Dike is blogging about his comprehensive and detailed study methodology so that our readers can learn from his experience. Make sure you read Part I and Part II. 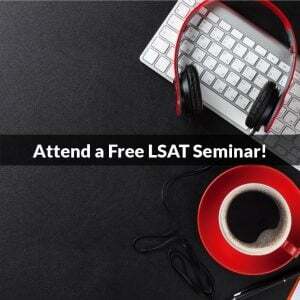 Back again for part 3 of the LSAT regimen. I hope you enjoyed part 2 that broke down the best possible way to master Logic Games. Here we are to talk about the skills that are rewarded in Reading Comprehension and Logical Reasoning. 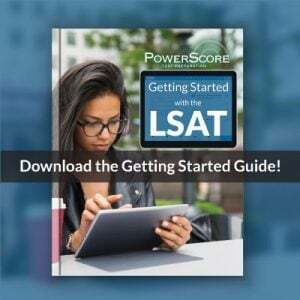 The skill that the LSAT makers reward you for having… BEYOND understanding VIEWSTAMP and all the wonderful teaching PowerScore has showed us, what they reward you for having is SHORT TERM MEMORY. Now that may seem obvious. And you may think that this skill cannot be strengthened, but it can. Reading Comprehension was by far my worst section. Really quickly let me explain to you one of THE BIGGEST mistakes I made. When we came to the reading comp lesson of the curriculum in the PowerScore course, it was amazing. I understood how to keep up with viewpoints and tone and structure and all the great things PowerScore showed us. I was CONSISTENT with my notations (soooo friggggin important) and I was doing sooo GOOD on them. I practiced and practiced, doing 8-10 passages a day. For about 2 weeks straight. The beauty with doing so many reading comp passages is you can even anticipate the questions they’re going to ask regarding the passage. When I see a really convoluted paragraph that shifts in viewpoints or is really detailed and confusing, I JUST KNOW they’re going to ask about it. And lo and behold there are two questions regarding that exact same part. I literally went from getting half of them wrong to getting 2-3 wrong in an entire section. It was beautiful. So being the cocky jerk I am, I decided “Ahhhh I’m good on reading comprehension, I’m struggling on logic games and LR so I’m just going to focus on those.” I literally went like 2-3 weeks without so much as sniffing a reading comprehension passage. We take a practice test in class and I was reading the passages my flow was off, my reading speed was off, my ability to focus was off, and I couldn’t anticipate any questions or anything. I forgot half my notations and I was searching for answers that I couldn’t have found with two hands and a flashlight. I might as well have been reading hieroglyphics, I had no clue what was going on. And I did terrible. Back to missing half the questions again. Yikes. Just because you get good at a section, it does not mean your improvement is permanent. I made that mistake. Don’t be me. You have to keep at it. Even if it’s just regular touch ups. It’s like working out, you stop lifting you’ll lose that muscle. Don’t stop lifting. Stay swole. Now back to how to increase the skill of short term memory and why it’s so key. Say there are two students who have the exact same reading speed, the exact same ability to keep up with structure, viewpoints, tone etc. If their skills in VIEWSTAMP are the same, the student with the better short term memory is much better suited for success. Imagine a question forces you to refer back to the passage, student A needs 5 seconds to find the source, student B needs 30 seconds to find that source. They both get the question right but one student has already moved on. Now you’re probably going to get 2 or more questions like this per passage. Now student A has an extra minute or more to spend elsewhere. He/she doesn’t feel the time pressure that student B feels, student A can even spend more time on really hard questions. See where I’m going with this? Note: Some of this I got from Dave in his videos, other parts I just got from tinkering with my approach. Regardless, this is a practice technique. Every time you read a paragraph, you pause for 5-10 seconds and come up with the main point of that paragraph. I personally close my eyes and do this. Is it a hypothesis? Phenomenon? Outdated viewpoint? Just contextual facts? Is it anticipatory of the following paragraph? You do this for every paragraph and notate as needed. THERE WILL BE TIMES YOU HAVE TO RE READ A PARAGRAPH MULTIPLE TIMES. IF YOU HAVE TO READ IT MULTIPLE TIMES TO UNDERSTAND IT, THEN GUESS WHAT……… YOU’RE GONNA HAVE TO READ IT MULTIPLE TIMES. You’re always better off investing time up front vs having to go back over and over. You finish the passage and you scan the entire passage just glossing over, this process takes about 30 seconds. You come up with a narrative or overall main point. Someone wrote this for a reason…what was it? Are you teaching me something? Challenging a universal view? Are you comparing methods of uncovering artifacts? Then you answer all the questions WITHOUT referring back to the passage at allllll. You only quickly refer back to the passage when there’s a question that asks about a specific line in the passage. Now why would you not refer back to the passage? How does this help? It allows you to trust your gut, make a decision and move on. Each question on the LSAT is a battle. And you can lose a battle even when you get answers right, and you do that by wasting time. The LSAT writers win if you spend too much time. You’re missing out on a chance to get easy questions right. I was never the type of person to stick around when I knew the block was too hot, so answering and moving on was easy for me, cutting my losses was always a part of life. But I noticed a lot of students have trouble taking a loss on questions. They have a problem just choosing and moving on when they aren’t sure. Wasting your time on hard questions that you’re probably going to get wrong anyway is what I like to call HUSTLIN’ BACKWARDS. Second reason why this is helpful is because it allows your brain muscles to practice holding a lot information. You will be surprised at how many questions you get right. Clearly, don’t do this during a real LSAT, refer back to the passage, but your ability to find what you’re looking for will go so much faster, and your ability to not even need to refer to the passage on real tests will increase. You should incorporate that drill for 15-20 passages. At least. As many passages as you can get your hands on. You’ll be shocked at your improvement. But the short term memory method will allow you to more easily refer to the passage and find what you’re looking for on real tests. I guarantee it. Now if you do the math, you have 4 minutes to read, another 30 seconds to scan after initially reading. This gives you another 4 plus minutes to answer the questions. This is more than enough time when doing the memory method. Ideally you’d like to get down to about 3.5 minutes on the passage but this varies. You have to trust me on this. In the beginning you may spend 5 or 6 minutes up front on reading the passage, that’s okay, over time you will need less time spent on the passage. Quick tip. Before I go on to the questions, I always re-read the first sentence and the last sentence. I feel like a good 25 percent of the passages ask about one of those two parts of a passage specifically. Test makers know you probably don’t remember what was in the first sentence after reading a 500 word passage, and they know you rush to finish the last sentence so you can hurry up and get to the questions. So being as annoying as they are, they ask questions that refer to those parts. I re-read them just to be safe. It’s a habit now. Last but certainly not least, the good old Logical Reasoning section. Half the darn tests, so you’ll want to pay attention here. Every logical reasoning question…every single one… is one of two things. It’s either an argument. Or it’s a set of facts. If it’s a set of facts, you write out the logical chain if there is one, identify the question stem, and you answer the question. Set of facts type stimuli have easy questions. There are things that MUST be true, there are things that CANNOT be true, and there are things that COULD be. To simplify it, we know that 1+1 equals 2. You know that if you have A—->B it MUST be if not B then not A. That’s an abstract way of putting it. Forgive me for not having the vernacular to make it more clear but hopefully you get that part. Set of facts is straight forward. What skills are valued here? Of course we are still talking about what separates the average from the great. Beyond understanding a question stem, beyond being able to point out a conclusion, beyond being able diagram a logical chain…the skills the LSAT values and rewards you for is sort of knowing that all LR questions are related, how critically you can think with the arguments, and how good is your grammar. The grammar part was really an eye opener for me because so much of the stimuli are there just for distraction. You need to be able to fight through the clutter. That’s probably the hardest part because these questions are filled with embedded clauses, modifiers, referential phrasing and comparative statements. Keeping all of that in line is the hard part. Getting through all the smoke is huge. How do you improve this skill? First drill is to approach each and every stimulus the same way. You need to be a robot. Find the main point and the premises. Notate both once you’ve identified, with either brackets, underlining, putting a “P” or a “C” next to all of it, etc. You need to be consistent with this. Every single time you do the same thing. You are a well-oiled machine. After doing that you see if the premises support the conclusion, a lot of times they don’t. LSAT arguments are so trash it’s funny sometimes. Then after identifying the question stem, you pause and try to anticipate answer choices. Anticipate answer choices. Anticipate answer choices. On some question stems, this has less value than others, because there are so many ways to strengthen or weaken an argument, so many possible underlying necessary assumptions. But for questions like method of reasoning, sufficient assumption, and flaw questions, elite test takers fly thru the answer choices because they know what to look for. There is an answer that falls either exactly or very close to what they prephrased. The more questions you do, the easier this will become. Second drill is practicing as often as you can to answer questions without diagramming the conditional logic chain. This is a skill I underestimated. Elite test takers rarely write down the chain and can hold it in their head. I’ve tried forcing myself to do it during as many LR questions as I can. If it gets too difficult or the sufficient and necessary conditions get jumbled in my head, I write them down. But I do practice to try and hold them in my head. It’s actually not as difficult as I thought. I still have not mastered this after practicing for about a month and a half, but I am so much better and it allows for the LR questions to go by sooooo much faster. When I first learned what sufficient and necessary conditions were and learned how to chain them up, I did it constantly on every question. I would pause halfway thru the stimulus to write down the chains then return to the stimulus and this ruined the flow and my understanding of the argument. Read the stimulus and identify the premise and conclusion, and then give your natural sense and your training a chance to understand what is being said, then check the answer choices. If you can’t pick a right answer confidently, then you diagram out the conditional logic if needed. Wrong answer choices can say whatever the hell they want, because they’re wrong. They don’t even have to make sense. Wasting time trying to parse out what a wrong answer choice is saying is feeding into their traps. Like I said earlier, each question is a battle. Not just a battle of right and wrong, but a battle of time. Wasting time on a hard question you’re probably going to get wrong is hustling backwards. Well, start out by printing about ten of these, specifically the logical reasoning tracker. You already have the excel spreadsheet for logic games. If you’d like you can print out the reading comp tracker too but I don’t use it. Every single question I get wrong or have trouble on, I log. Even if I get the question right but I felt like I got a little lucky, I log it. I do not put the answer though, so that when I refer back to it, it’s essentially blind review. This process is tedious. I keep using that word but that’s what it is. You should be referring back to your questions regularly. I don’t really want to get into specific question stems because I know that all LR questions essentially test the same skills. But I want to harp on my approach for method of reasoning, and flaw method of reasoning, and parallel flaw. Those three question types are so important because I believe that what they ask students to do requires the highest level of understanding of arguments and logic. And that on these questions, the wrong answers can be right on other questions. And the right answer on that question can be wrong on other questions. Power Score did a great job of explaining the most common Flawed method of reasoning situations and method of reasoning possibilities. But it’s impossible to break down ALL of them. Memorize all of those flawed method of reasoning and method of reasoning tactics that PowerScore gives you. Memorize like it’s a history test or a speech. That resource is huge. You need to be able to recite it like it’s the pledge of allegiance. And the reason is you will come across Flaws in arguments that you have never seen before, you may see the flaw that’s there and you see the method, but you don’t know how to abstract this that well. Same goes for method of reasoning. Now you may not know exactly how to abstract it, but with your knowledge of the most common methods and flaws, you can eliminate wrong answer choices. You can confidently do this because you know what a sufficient and necessity confusion is and you know that’s not the mistake the stimulus made, so you can eliminate that. You know what appealing to authority is and you know the stimulus didn’t do that. You know what a composition and division error is and you know the argument doesn’t do that. You know what appealing to emotion is and the stimulus didn’t do that. And there will be times the abstract language of the correct answer will speak to you and you can answer it quickly. But for all the other times, being able to eliminate is huge, and you can only confidently do that when you’ve memorized PowerScore’s breakdown and you do more questions. Rewarded skill on LR. – Critically understand and evaluate arguments, grammar skills. 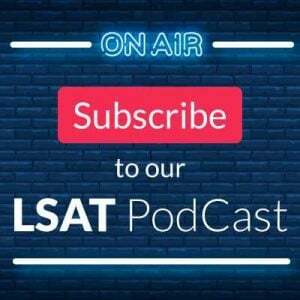 So there you have the skills that I truly believe are what the LSAT makers reward you for having and how to improve them. Those are the things that ALLLLL high test takers have. On my next blog, I will give a thorough and detailed breakdown of exactly what I personally do on a day to day basis in regards to my prep. What I do on practice test days and non-test days and how I plan on going about my process once I have finished all the drilling material. Also some random tips and do’s and don’ts. Sorry for making these blogs so long, I’m just trying to be thorough and add context to me reasoning. P.S. I just want to thank everyone for the kind words I’ve been getting and positive reception from my blogs. From the emails, to the tweets, to the comments on the blog, I really appreciate it. Please do not hesitate to message me on any platform about anything. I’m more than willing to help. You guys are helping me more than you think. The fact that I’m motivating you motivates me. I’m still on this journey just like you guys.